Former Manchester United star Dimitar Berbatov urged supporters to go easy on the Romelu Lukaku criticism following a difficult run, adamant he offers more than just goals. 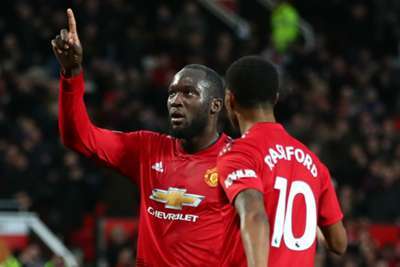 The Belgium international scored in United's 4-1 thrashing of Fulham on Saturday, finding the net at Old Trafford for the first time in the league since March. That took his tally for the campaign to an unimpressive six from 15 games, with Lukaku struggling for form so far this term. The striker has been in and out of the team and a target for criticism from fans, but Berbatov thinks Lukaku is being harshly judged, convinced there are numerous other aspects to his game. Speaking to Sky Sports, Berbatov said: "Why do people concentrate on things like this? "Strikers are more than goals now. How is that [criticising] going to help anyone? Don't you think he knows that [he hasn't scored many recently]? It is important [that he scored against Fulham], I'm sure he felt the relief. "But I don't understand the concentration levels on him. This is like a negativity. How is that going to help his confidence? It makes him low. "I like him a lot because he is good on the ball, he's powerful. If his first touch is not as good as some other players then give him a ball he can handle. Keep that in mind. He needs the confidence to score goals."